Healthy Families New York (HFNY) is an evidence-based home visiting program for expectant and new parents in socioeconomically disadvantaged families at elevated risk for child maltreatment and other adverse outcomes. HFNY makes concerted efforts to promote a father-inclusive culture and increase engagement of fathers in all aspects of home visiting. This study describes fathers’ participation in HFNY and examines how fathers’ participation relates to program retention and to father–child coresidency and father involvement. Program data were extracted from HFNY’s data management system. Program participation was measured by whether the father ever participated in a home visit. The sample includes 3341 families enrolled from January 1, 2013 to June 30, 2015. Program retention, father’s co-residency and father involvement were measured at the child’s 6 months follow-up. Logistic regression was used to calculate odds ratios. Results showed that when fathers participated in home visiting, families were more than four times as likely to be retained in the program. Additionally, fathers who were engaged were more likely to live at home with the child and to remain emotionally involved at 6 months. The data support the advancement of policy and practice to encourage participation of fathers in high-risk families in home visiting services. Gearing, M. E., Peters, H. E., Sandstrom, H., & Heller, C. (2015). Engaging low-income fathers in home visiting approaches. In Challenges, and strategies. OPRE Report #2015 – 104. Office of Planning, Research and Evaluation, Administration for Children and Families. Retrieved from US Department of Health the Human Services http://www.acf.hhs.gov/sites/default/files/opre/20151130_fahv_report_finalized_b508.pdf. Guterman, N. B., Bellamy, J. L., Banman, A., & Morales-Mirguem, S. (2015). The Dads Matter enhancement to home visiting service: Early trends from a multisite randomized clinical trial. Presented at the 37th Annual Association for Public Policy Analysis and Management. Retrieved from https://appam.confex.com/appam/2015/webprogram/Paper13687.html. Healthy Families New York. (2017). Retrieved from http://www.healthyfamiliesnewyork.org/About/default.htmk. Kirkland, K. (2013). 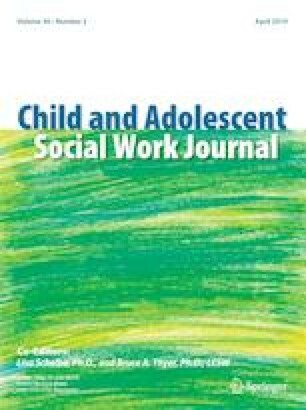 Effectiveness of home visiting as a strategy for promoting children’s adjustment to school. Zero to Three 2013, 33(3), 31–37. http://www.healthyfamiliesnewyork.org/About/default.htm. McAllister, F., & Burgess. (2012). Fatherhood: Parenting programmes and policy. A Critical Review of Best Practice. Retrieved from http://www.fatherhoodinstitute.org/wp-content/uploads/2012/07/Parenting-Programmes-and-Policy-Critical-Review-Full-Report.pdf. Nurse Family Partnership. (2010). Evidentiary foundations of nurse family partnership. Retrieved from http://www.nursefamilypartnership.org/assets/PDF/Policy/NFP-EvidentiaryStandards_4-28-09. Rosenberg, J., & Wilcox, W. B. (2006). The importance of fathers in the healthy development of children. US Department Health and Human Services, Administration for Children and Families, Administration on Children, Youth and Families, Children’s Bureau, Office of Child Abuse and Neglect. https://www.childwelfare.gov/pubPDFs/fatherhood.pdf. The Pew Center on the States. (2010). The PEW Center on the States. The research case for home visiting: Strong families start with a strong foundation. Retrieved from http://www.pewtrusts.org/~/media/legacy/uploadedfiles/pcs_assets/2010/mombriefwebfinalpdf.pdf). US DHHS (US Department of Health and Human Services). (2016). Administration of children and family services. Home visiting evidence of effectiveness. Retrieved from https://mchb.hrsa.gov/sites/default/files/mchb/MaternalChildHealthInitiatives/HomeVisiting/Federal_Home_Visiting_Program_Performance_Indicators_and_Systems_Outcomes_Summary.pdf.